Deal: Shop NBC has some worthwhile apparel reductions of 70%+ especially for the smaller sizes. Forte Ribbed Drape front 100% cashmere cardigan sweater, Reg.$429.99, deal priced $99.99 w/2 value pays, sizes 2-10 and runs small, but if you can fit it, it’s a terrific deal. Comes in colors of black, flannel, cardinal, and java. Deal: Estée Lauder. Free with any purchase New Perfectionist [CP+] Wrinkle Lifting Serum, while supplies last. No promo code necessary. Plus Free Shipping with $35 Purchase. Deal: Jewelry Television® Super Saturday Sale Today. Save up to 85% off top brand watches plus free shipping. Calling all designers and crafters, enter their 6th Annual Jewelry Design Contest. Deal: Old Navy save up to 50% off in-season swimsuits, shorts and more. Deal: Overstock.com Save this weekend $10 on $100 purchase, plus free shipping on select July 4th items. Deal: Radio Shack® Free Shipping on purchases of $100. Deal: Macy’s is starting their 4th of July sale this weekend. 20%-75%+ off sale, sale amounts vary by department. Deal: NBA Store Save 15% off most items through July 31st. Plenty of time for outdoor sports this summer. Memorial Weekend is coming up and that always mean sales and HSN is starting it off with Moonlight Markdowns and Department Clearances. Leap Year comes every 4 years. In keeping with this infrequent happening, Markdown Mom found some fantastic rare bargains. With these savings, items will be "leaping" out of the stores! J. Crew is having a final saving by taking an additional 20%off Final Sale priced merchandise. The final sale price will be taken at checkout. A little something for everyone, women, men, and kids. Great looking romantic dresses just in time for prom and holiday events, girls skirts with additional savings make this around 80% off retail. Very limited in selection, but if by chance you find your size and style, you’ll get a great bargain! Dillards is taking an additional 30% off its’ clearance prices good through March 1st. Designers all agree that every woman’s wardrobe "must have" is a cashmere cardigan. Check out the cashmere offerings at Dillard’s, save 75% and more. Dillard’s is taking an extra 30% off current markdowns. This is one sale you don’t want to miss, great prices on designer infant wear, women’s and men’s apparel, housewares, shoes and accessories. Hurry selection is good right now and prices make these sale items a steal! Prices good through February 2nd. Pottery Barn has gone through its’ stock and if you are looking for that extra special accessory, now is the time to shop as the selection is good. 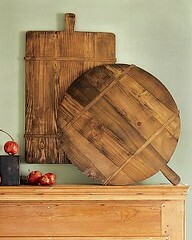 For instance, these rustic bread boards would look great as part of the kitchen decor, reg. 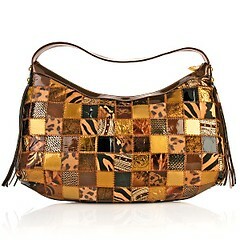 $39.00, steal price $19.99, plus they are clearing out the holiday remnants so be sure to browse prices up to 75% off. Eddie Bauer ®Outlet is having its Winter Clearance with 70% off. Good selection and with the recent cold snap, depending upon the part of the country/world you live in, these sale items are timely like this bomber hat, reg.$39.50, steal price $19.99. Other items include gear for men and women including diaper bags,down parkas, jackets, sweaters, shoes, accessories and so much more. And for Super Bowl Sunday and any get-together, Lands’ End Overstocks has this copper beverage basin, reg. $150, steal price $69.99. Hand-crafted copper with welded seams, 48 hours delivery–in time for the Super Bowl. Wonderful decorative item that will come in handy for parties! MDM over the Labor Day Weekend visited some of her favorite chain stores. One would think that shopping would be a pleasant way to relax during a long weekend–au contraire, my friends, Monday was sheer pandemonium. Stores near a university or college were packed with new and returning students, their roommates and families. Even Goodwill was open and with 50% off everything in the store, excluding red tags–it was wall-to-wall people. What MDM did notice, in a cursory investigation of the chain stores, was a difference in pricing and number and percentage of markdowns. It appears that stores located in the more transitional metro areas and nearer to institutions of higher education had higher prices and less markdowns. Recent studies of price disparity in lower economic neighborhoods have borne this out, even by national chain stores recognized for their uniform pricing and product selection from coast to coast. Therefore, take note, product selection and pricing will vary according to location and its’ economic status.. However, with a concentrated effort, the bargain hunter, will be able to discern those stores within a chain that have great unadvertised bargains. Sometimes referred in-house as the "markdown store," these are usually the older stores that have limited space because they were built just prior to the super store era, but, nonetheless, must be able to carry the same merchandise, albeit without a full range grocery department found in the super stores. For MDM, these stores are gems since every visit provides another opportunity to find a great bargain! TIP: During the next two weeks expect to be entering the Post Labor Day, Back To School markdown period. In fact, MDM observed while shoppers were making their last Back To School supplies purchases, that the stores were beginning to empty those dedicated areas and consolidate the overstock for clearance. Be sure to stay alert for those remaining items to be reduced from 30%, to 50%, and finally to 75% and more now and through the end-of-the month. Macy’s instore has a selection of designer suits at 50%-60% off. In addition, the markdown racks ranging from 40-75% off of miscellaneous fashions, have additional savings of 25%-30% off the markdown taken at the register. Yes, it is true there is a Dollar Tree store at the Mall of America. Not the largest one MDM has seen, but it is quite fun to see young women sporting Chanel purses checking out the merchandise. As MDM has always said, everyone loves a bargain. Want to save money on beverages at the Mall? This store has Faygo soft drinks and water for 50¢, with brand name soda pop like Coca-Cola for $1.00. Rainbow is a store with some hot styles in apparel and shoes. They are having a terrific sale on some great shoes for the summer, worth checking out. For the younger crowd or hipster group prices are in line for those who want the latest trends without the high ticket price. The display windows are still carrying a lot of the black and white theme with red accessories. A splash of aqua, brown and lime can also be seen. Editor’s Note: The one thing that was especially shocking was the lack of accessibility for the disabled at the Mall of America. Doors to the main entrance are not powered, and wheelchairs although compllimentary are not in good working order and become impossible to move on the carpet. This would be impossible for any disabled person to navigate alone. Although the Mall of America has electronic carts, there is a $25 charge for use. This seems highly incredible when other stores such as Wal-Mart, Target, Home Depot , and even KMart recognize that supplying electronic carts are a cost of doing business just like advertising, etc. Merchants have got to remember that these carts aren’t only used for senior citizens with disabilities, but anyone with a permanent or temporary disability as a result of an injury or disease. Because Markdown Mom believes strongly in accessibility for all our bargain hunters, future store visits will report and rate stores on this issue. JCPenney has been a great site this year especially for that hot look in shoes. For instance, this Mixit® "Meredith" wedge is on Winter Sale Clearance, but easily will go forward into Spring and Summer. MDM especially liked it in Bronze. Comes in Bronze (limited), Black, and Natural in Sizes 5-11 Medium, Reg.$50/Sale $9.99. Lands’ End has some wonderful Italian wool blazers at it’s Overstocks On The Counter. Like this wool/cashmere combination in a pinstripe in Dark Charcoal, Reg.$169.99/$30. Sizes limited 4,6,10,12. Dillards End of Winter Sale. Markdowns have been further reduced by 30%. Save on everything from Children, Womens, Men, Juniors, Shoes, Luggage, Gifts, Furniture, etc. You cannot afford to pass this one up! MDM found up to 65% off at Bloomingdale’s Sale & Values. Wonderful men and women’s fashions including special sizes, hot leggings, shoes, accessories, and more. 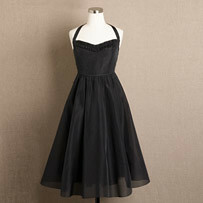 Great bargains on velvets like this Calvin Kline Burn-Out Dress, Reg.$228.00/sale $78.99! For that haute couture look at affordable prices, check out this sale! Nordstrom has a great many selections in their 70% off sale like this junior dress in a sizes 7-13 in pale pink, plum, and gold–perfect for prom, Reg. $135/Sale for $39.90. Now is the time to shop Nordstrom before the selection becomes limited! Today is Macy’s Preview Day for their one day sale on Saturday, February 24th. Of course the largest markdowns will be found in their Clearance section where Macys is taking an additional 25% off. Target instore has marked their Global merchandise at some locations at 50% off. You can still find racks of apparel marked 75% off, but other departments have limited offerings for markdowns. Fashion Bug is taking an extra 20% off Clearance and 40% off regularly priced merchandise through Saturday, February 24th. Linens ‘n Things© has up to 75% off Clearance plus a Window Inventory Blowout Sale with up to 60% off. Be sure to check out Nate Berkus Deal of the Day with free shipping. Overstock.com is having a Liquidation Sale this weekend with a denim liquidation and free shipping on women’s apparel, and an extra 10% off Stührling watches. Jewelry Television™ is having a Winter Clearance with up to 60% off on your favorite jewelry. ShopJuici is having a 72 Hours Weekend Sale. Michelle Roy, hot and trendy designer favored by celebs like Jessica Simpson, Madonna, and Eva Longoria, will be previewing her latest styles soon. While browsing, visit the Clearance and enter the $300 Shopping Spree!